Okay…what is this stuff. You’re seeing it on the shelves at Whole Foods, you’re seeing it in bins at the health food stores, and now you’re hearing it’s an aphrodisiac. What is the deal with Maca root? Lepidium meyenii, known commonly as maca, is part the crucifer (think broccoli) family native to Andes. 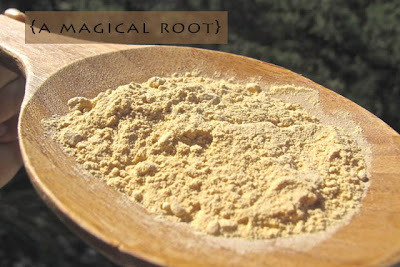 It’s been used for centuries as a root vegetable and a medicinal herb, and what your’e probably seeing out and about is the root powder – just ground straight from the root veggie itself. Some facts: in Peru people use it to make cakes, bread, porridge, beer (chicha maca – I’ve had it – it’s wild) and even salads from the leaves. A real showboat this plant. In small scale clinical trials it’s been found to boost libido and even to alleviate anti-depressant induced sexual disfunction. That’s pretty huge since those are pretty popular drugs these days. 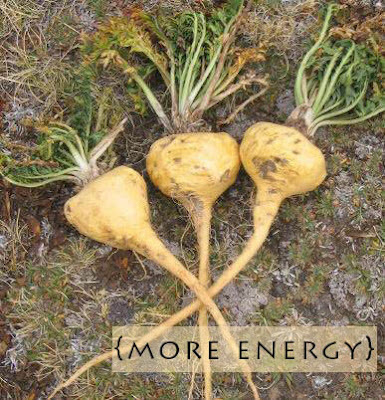 Other trials have shown that maca has favorable effects on energy and mood, may decrease anxiety and improve sexual desire. What else you ask? Okay I’ll tell you: it’s rich in amino acids (protein building blocks), phytonutrients, healthy fatty-acids, vitamins and minerals. It supports neurotransmitter production. And Katie and my favorite attribute? It’s a powerful natural adaptogen. Whats that? Well, essentially it helps balance endocrine health by supporting the adrenal and thyroid glands to produce hormones determined by YOUR unique body. Under producing? Maca can balance. Over producing? Maca can balance. What’s this mean for you? Regulating metabolism, increasing energy levels and often times overall sense of well-being. It’s often called the Peruvian ginseng since ginseng is known to do the similar miracle work. How do Katie and I use it? Well with our ‘wired and tired’ clients we find it pretty darn helpful to throw a tablespoon in their smoothie each morning. We’ve seen lots of people come back with improved energy and balanced hormones. In fact…we use it practically everyday in our smoothie creations. Additionally, and equally important, it’s fun to say maca.